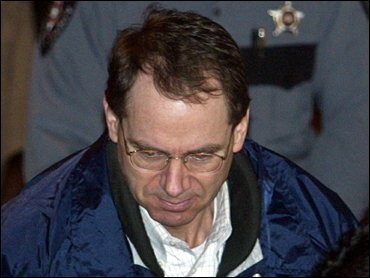 Already serving a federal life sentence for his role in the 1995 Oklahoma City bombing, Terry Nichols hopes to avoid lethal injection on state charges by emphasizing a key fact: He was at home during the blast that killed 168 people. Nichols' trial by the state of Oklahoma begins Monday, with jury selection from a pool of 150 possible jurors. Prosecutors allege that Nichols conspired with Timothy McVeigh to build a 4,000-pound bomb of ammonium nitrate and fuel oil that destroyed the Alfred P. Murrah Federal Building to avenge the FBI siege at Waco, Texas, two years earlier. Nichols' attorneys say there is evidence of a wider conspiracy and Nichols was set up by unknown co-conspirators to take the blame for the bombing. McVeigh was convicted on federal murder charges and executed in 2001. But the fact that Nichols was at home in Herington, Kansas, when the bomb went off could make it harder for prosecutors to get the death penalty, said Andy Coates, a former prosecutor and dean of University of Oklahoma Law School. "Certainly he wasn't the trigger man. He was one step removed, at least geographically, from what was going on," Coates said. Defense attorneys have said they believe Nichols, 48, cannot receive a fair trial anywhere in Oklahoma: Nichols' 1997 federal trial was moved to Denver because of pretrial publicity and the current trial was moved from Oklahoma City to McAlester, about 130 miles away. District Judge Steven Taylor, who will preside over the state trial, said in a hearing last week, however, that he planned to seat an objective jury in Oklahoma. "I'm not going to sign off on a jury being fair and impartial until I'm satisfied," he said. "This is going to be a tedious, time-consuming process that is going to require the patience of jurors." On Saturday, Taylor scheduled a hearing for early Monday before jury selection begins. The nature of the hearing was not disclosed. Taylor scheduled the hearing a day after the FBI ordered a review of the bombing investigation to determine whether conspirator McVeigh may have had more accomplices. Nichols was convicted of federal involuntary manslaughter and conspiracy charges for the April 19, 1995, bombing of the federal building. He is serving a life sentence without parole for the deaths of eight federal law enforcement officers in the bombing. In Oklahoma, Nichols faces 161 counts of first-degree murder for the deaths of the other 160 victims and the unborn child of one victim. CBS News Legal Analyst Andrew Cohen expects jury selection to take several weeks. "It is going to be terribly difficult," says Cohen, "to find jurors who honestly will say under oath that they are willing and able to give Nichols the presumption of innocence he's entitled to - fully six years after he was convicted in federal court for his role in the Oklahoma City bombing." "Nichols attorneys almost certainly don't expect to find jurors who have an open mind about Nichols' role in the Oklahoma City bombing," says Cohen. "They'll be focusing instead I think on trying to find jurors who are open-minded about Nichols' precise role in the attack and also willing perhaps to be a little reluctant in recommending a death sentence." State charges were filed against Nichols in 1999 but there have been numerous delays while attorneys haggled over a series of issues ranging from defense attorney compensation to arguments that a state trial would be unconstitutional given his federal conviction. Prospective jurors will face general questions in open court, but will also be questioned privately by both sides about Nichols and the death penalty to avoid influencing the views of others. Taylor said he will control the process. "The reason I am going to control it is because I am responsible for it," Taylor said. "Sometimes I think I can do things better than anybody else. It's just kind of a strange quirk in my personality."